The Ho Chi Minh City Union of Friendship Organizations and the Ho Chi Minh City Liaison Committee for Vietnamese in Laos and Thailand yesterday co- held an annual meeting on the first days of Year of the Dog. Lao Consul General in Ho Chi Minh City Somxay Sanam Oune, Thai Consul General in Ho Chi Minh City Ureerat Ratanaprukse and nearly 400 overseas Vietnamese, who had ever lived and worked in Laos and Thailand, attended in the meeting. Speaking at the meeting, Head of the Ho Chi Minh City Liaison Committee for Vietnamese in Laos and Thailand Mr. Hoang Ngoc Hung affirmed that the agency is always a bridge to connect overseas Vietnamese community in the two countries. 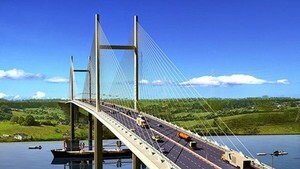 Last year, the committee did practical contributions as well as carried out activities in strengthening friendship and diplomatic relations of peoples; and received supports and belief of overseas Vietnamese. Besides that, the committee actively joined in many social charitable programs such as helping disable kids and flood-hit victims. 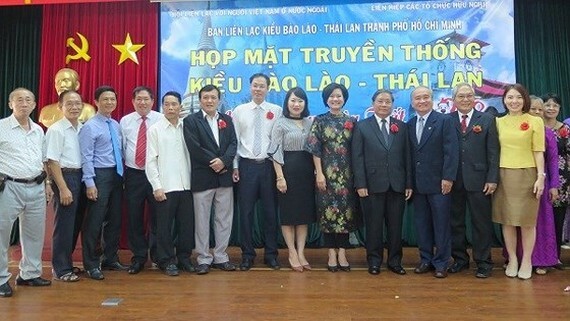 Chairman of the Ho Chi Minh City Union of Friendship Organizations Huynh Minh Thien desired the overseas Vietnamese communities to continue strength and closely collaborate with the city authorities in successful implementation of socio- economic tasks in 2018.